I have a treat for you today. I was honored to interview one of our community members, Melanie Maxwell. 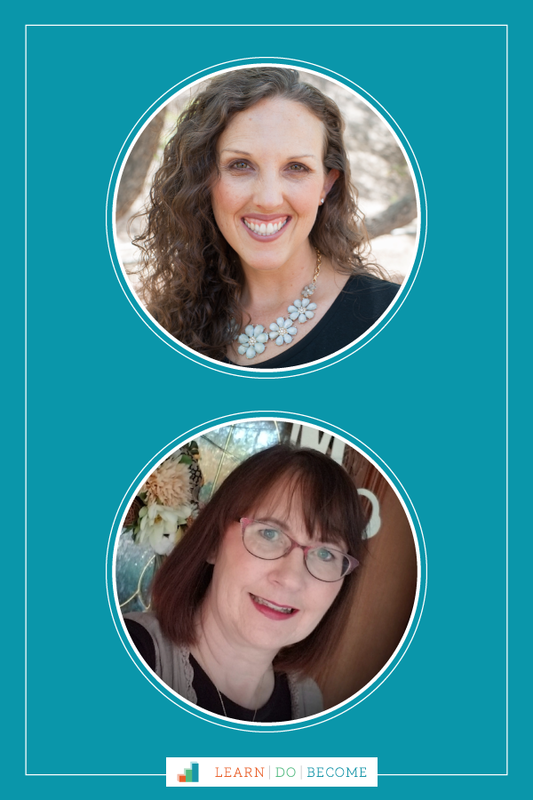 After hearing her story, I felt so inspired, rejuvenated and happy–in fact, I ran downstairs and told Eric, “This was amazing!” And I am so excited to share it with you, so that you can have the same success that Melanie had. How Melanie got her papers organized into the four levels we teach in the program–and collected her tax filing papers in level one, which enabled her to finally file her return after two years–and enabled her to receive a refund of $10,000! How she and her family have started cooking on a regular basis–saving money on fast food and creating a more peaceful, relaxing home environment. 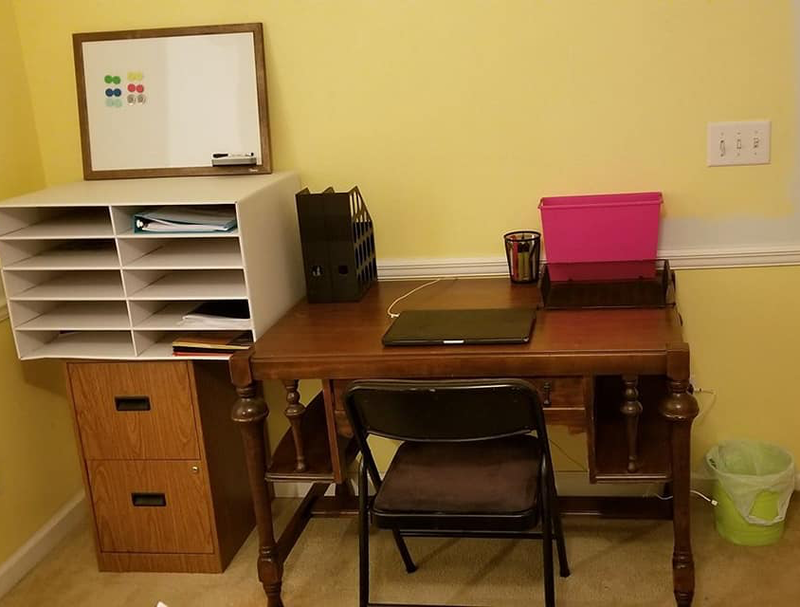 How she reclaimed her bedroom–after more than a year sleeping on a recliner–and how she’s been able to maintain the system without stress. Isn’t Melanie amazing? Just listening to her story will change your life! Click here to share her story with your friends and family on Facebook. We are so grateful to have you here. Hope you have a wonderful day! If you want to go through the same training that Melanie did, we would love to have you join us! Click here or on the image below! 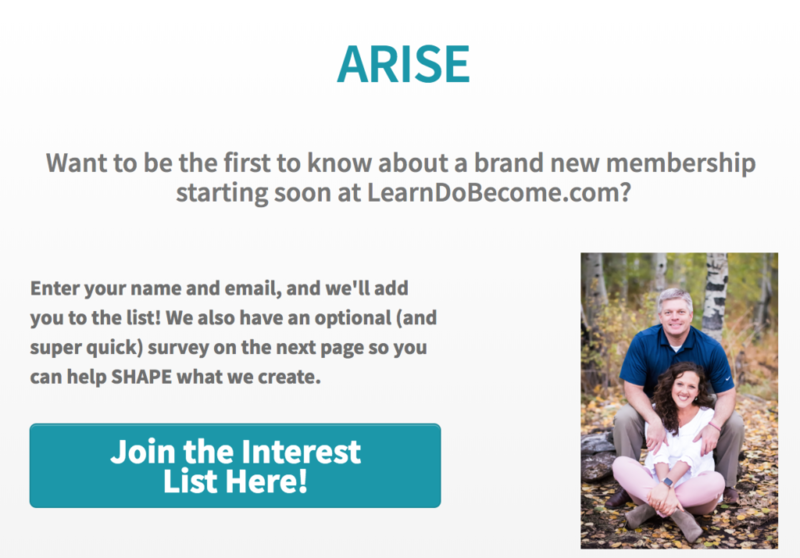 And if you want to explore the next level, come join the waitlist for our new membership, ARISE! 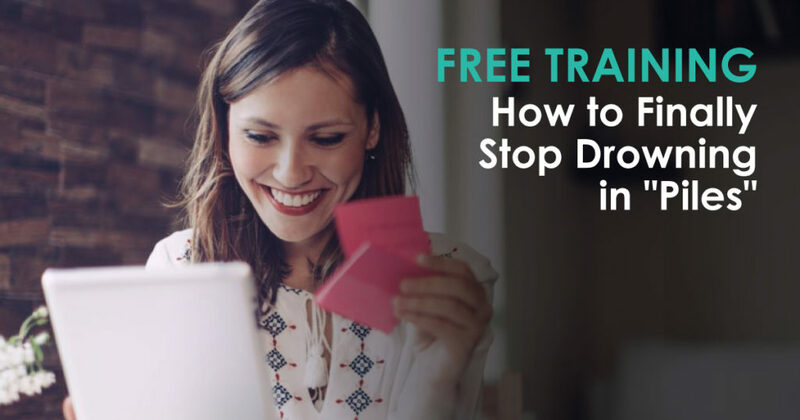 We’ll share resources to help you begin to dream again, level up your life, and begin to give back. I saw the email come in this morning that you had posted a new podcast. Then I read what it was about and stopped in my tracks. 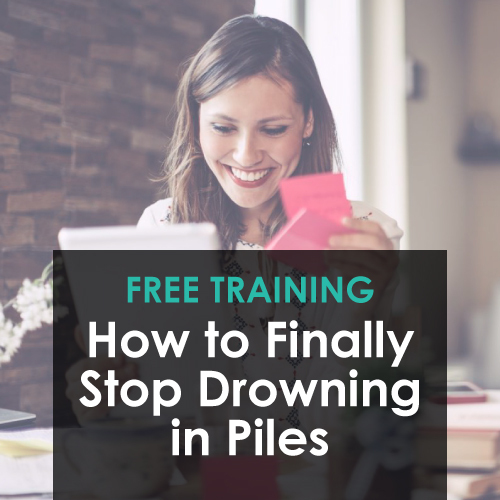 I just had a conversation last night with my husband about how I feel like I am starting to physically feel the weight of all of the piles in my life. I’ve been trying to get through this program for 15 months and keep getting discouraged, to the point of anxiety attacks when I look at my piles, both at home and at work. Melanie is so inspiring and I feel like I can try this again. This is truly God’s timing and I am so grateful for Him and for you! Christi, we are SO glad you’re here! We have great faith in you and know that you’re destined for great things. Thank you for taking time to comment here. You can do this! Please keep us posted on your progress. We can’t wait to hear your success stories! LOVE This story! Thank you Melanie for sharing your photos! Inspiring! Beautiful!! Gave me chills! Thank you for showing me I too can clean up my life too, and get out of the overwhelm of all that needs to get done. I needed this inspiration from Melanie so desperately. I have a really small living area with very small rooms–two bedrooms, living room, dining room and kitchen. 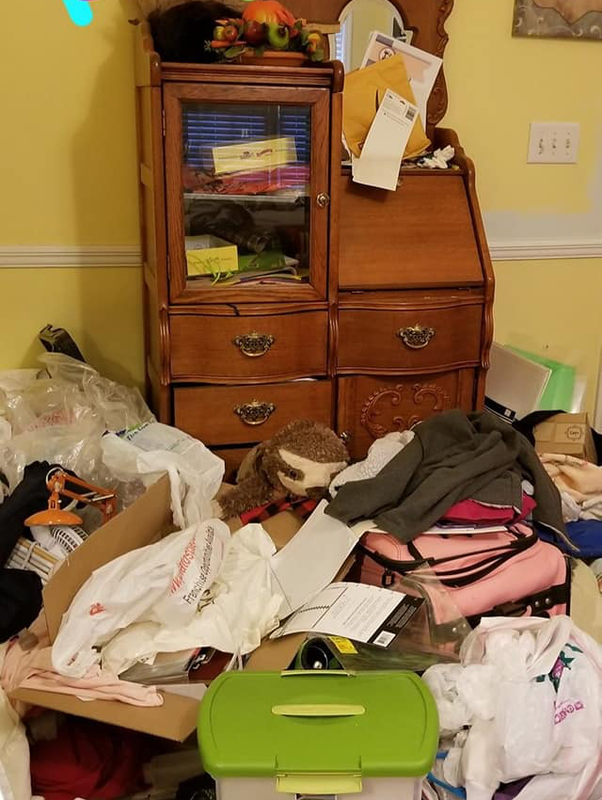 I just recently “cleaned out” my second bedroom by having stuff moved to my unfinished basement. Then I “cleaned off” my dining room table and stored some things in my bedroom and others in bags. Only half of my bed is cleared enough for me to sleep on. The other half has books, papers and clothes on it. I have actually “given” the IRS money because I was unable to locate documents needed to file my taxes on time. I am so encouraged after the podcast. I’ll start working on getting organized this weekend. I can’t wait. Jan, I am SO happy to hear this!! You can totally do this!! Great job!! You have inspired me! This was so Real! Thanks for an uplifting, encouraging, fun, podcast. And April, I must say you sounded more relaxed than I think I’ve heard you before. It’s not that I ever thought before that you weren’t, but something in your voice and perhaps spirit was different this time. Thanks! I’m so glad this was helpful, Rae! And I think getting to talk with a real person from our program just made me SO happy! Thank you for your continued support! What does this cost and how long does it take? When does it begin? Delnora, we would love to have you join us for a class! Our hour-long class is free and focuses on four simple steps anyone can use to get a better handle on life, home, goals, projects, and tasks. 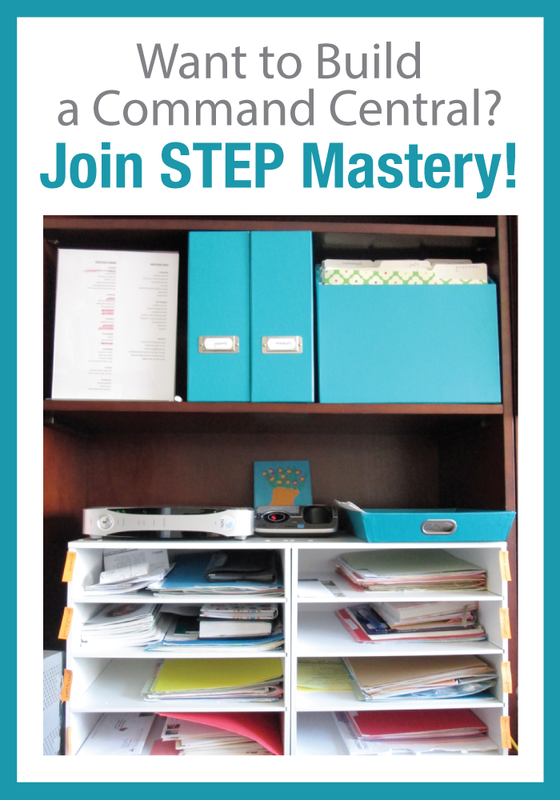 You can click through to learndobecome.com/step to request access to the class at your convenience. We look forward to having you review the information and know it will be time well spent. Enjoy! Please let us know if you have any questions at all. This was a wonderful webcast! It helps and encourages so much to hear from a person who is implementing the program in REAL LIFE!! Seriously, hearing her journey, and hearing her say that she still has a ways to go was helpful. Thank you!